There is nothing more calming and enchanting than creating a serene oasis from the busy world in your very own backyard. There is a myriad of ways to style and landscape according to your tastes and the available space and resources. 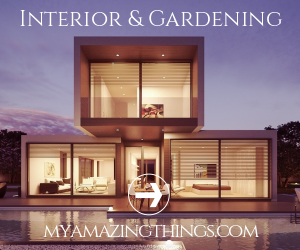 Whether you prefer a quaint cottage garden or a perfectly manicured yard a beautifully maintained lawn is the centerpiece of many stunning gardens. But lawn maintenance can be time-consuming and be quite expensive. Luckily there are some simple tricks you can use to take the annoyance out of creating the perfect lush lawn. If you haven’t set up an automated irrigation system then you really should because it is the easiest and most effective way to minimize water usage and keep your lawns looking fresh and green. Strategically setting up sprinklers to cover the entirety of your lawn with minimal overlap can maximize the impact of your water use. This system utilizes a simple timer to regulate automatic irrigation. Many gardeners opt to set their automated irrigation timers to water once a week. The most effective time of the day to water is overnight when the temperature is cooler. You may have the alter the timer unit seasonally. Talk to your local nursery, landscaping or gardening service about slow release lawn food. Plant food is a great way to boost garden health and is perfect for plants and lawns that are struggling in the lower quality soil. You will be surprised at how lush and fertile your lawn will become if you feed and water it properly. Lawns don’t need to finish in a neat edge that requires constant attention. Rather than getting the edger out every week you can take a creative approach to obscure and softening the lines of your lawn. Using planters and pots as a border to your edges is a good idea providing that you are able to move them away for lawn mowing. A more practical and green solution is to use hedges or other bushy plants that grow out over the edge of the lawn slightly making overgrown edges less obvious and you don’t have to move them to mow! Just because you want a beautiful lawn doesn’t mean that you have to spend hours maintaining it or spend hot summer days slogging it out behind a lawnmower. There are people who love lawns and gardens and will look after them so you don’t have to. There are an array of different gardening services out there. Whether you want help with your garden because you are busy working or just want to entrust your lawn to a professional there will be a service to suit your budget and needs such as Ryan’s Lawn Mowing of Austin, TX. Creating a beautiful garden and maintaining a lush, healthy lawn doesn’t have to be an exhausting effort. Whether you are a green thumb or a casual gardener keeping your garden green and gorgeous is simple. With these lawn taming tricks and tips, you can easily and effectively keep your whole yard looking amazing and create the perfect space for delightful fall lunches and serene moments of quiet contemplation.